Number one on your Christmas wish list to Santa last year was a brand new conservatory – you must have been on the ‘nice’ list in 2014 because as Christmas approaches once more, you are sitting in the comfort and new space that your Christmas gift conservatory has provided! This year, however, will be the first year you can actually decorate and dress it for the holiday season and there are so many good ideas and exciting things you can do with this extra room. First things first, will the conservatory be the focal point of Christmas in your home or just a room to spill over into when all the other rooms get a bit cramped? For the purposes of this article, we will assume it’s intended to be somewhat of a main attraction. Making room for Christmas decorations can be tricky, especially when it comes to finding somewhere to put the tree. Usually a chair has to be sacrificed and put away (perhaps in the loft or garage) for a few weeks, so that the tree can take centre stage. However, losing a chair at Christmas time is far from ideal, especially if you’re expecting lots of friends and family to visit. Fortunately, this year, the new conservatory can come to the rescue and not only ensure there is enough space for Christmas decorations and other bits and bobs but you can also keep that chair handy, so that everyone has a place to sit! It’s all about the Christmas tree! 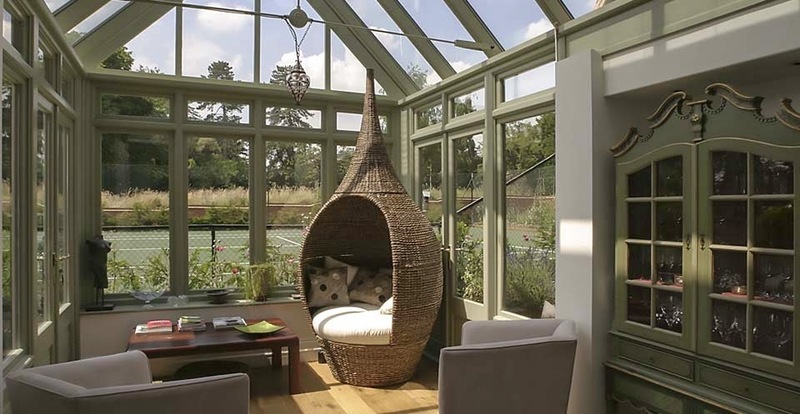 If your conservatory is large enough – this can be the main feature of the room. Do you prefer a real tree to enjoy that lovely fresh, leafy, woody scent or is it worth investing in one of the many classy artificial trees that are now available, that you can bring out every year with the minimum of fuss? Whatever you decide, the ideal place for the tree, especially if your conservatory has a bay window, is in that recess. (Unless the doors are used frequently in winter, in which case you may need a plan B). In that recess, however, the tree will mostly be out of the way, but still central and visible in all its splendour from the outside. If you opt for a real tree, another bonus for having it by the doors is when the needles start to drop, they won’t be traipsed around the house quite so much. 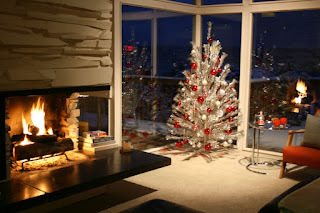 Decorating the tree will very much depend on the theme you have chosen. If the room is to be used as the dining area on Christmas day then careful attention needs to be paid to the decorations both on the tree and the table to ensure they coordinate. For example, if you have decided on a modern theme using glass baubles (perhaps in shades of light blue) it’s a good idea to also use the same style baubles you used on the tree to fill a couple of decorative vases and place them at both ends of the table. Another option could involve scattering a few of the baubles in random clusters across the table. There are quick and easy ways to create that magic, festive feel in addition to the tree and table dressings. The use of fairy lights and candles can create a soft and sparkly feel to the room, with light and shadow flickering as the baubles gently sway in the warmth of the room. Hanging decorations made from frosted glass at the windows can also soften the expanse of glazing while adding to the festive ambience. Contemporary, seasonal wreaths can be hung on doors, walls and even used as a centre piece on the table, with a display of candles in the middle. We have already mentioned the dining table and if you do intend to eat here at Christmas, then it really will be the centre piece of the room, so why not be really flamboyant? Re-cover your existing chairs, buy a new tablecloth, treat yourself to a fabulous new dinner set and remember to tie in those all-important decorations as you go along. Making individual place names is a lovely touch – you can even personalise Christmas crackers, with each one containing a specifically bought little gift for each person dining with you. Don’t forget the New Year’s party! While you have the room looking its finest, you might as well enjoy it over the New Year period too. Everybody brings in the New Year in their own way but whether you are going for a full on party with dancing or a formal meal you only need to tweak a few things here and there to let people know that this is New Year and not Christmas. Don’t take the Christmas tree down or the bulk of the decorations, many will work just as well at this time of year. Simply change some of the Christmas themed candles to white or silver, take the glass ornaments hanging at the windows down and perhaps replace them with a New Year banner and some balloons and get ready for the countdown! If the style of your celebrations are to be more party like, then moving the table from the centre of the room will provide a little space for those midnight dances. You can move it to the side and use it as your food and drinks buffet table. If you are having a more civilised dinner party then nothing much needs to change as far as the layout of the room is concerned - just a quick revamp of the table decorations, table cloth and napkins etc. 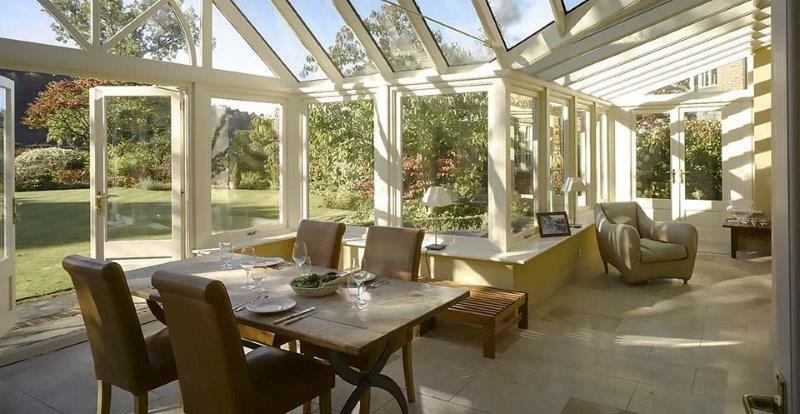 Many people with conservatories will be dreading the changing of the season as the last days of summer become nothing more than a fond memory and the dawning realisation that your beautiful conservatory is getting colder by the day! 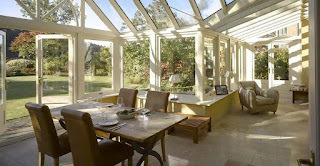 It’s probably fair to say that conservatories do have a bit of a reputation for being too cold in the winter (and even sometimes too hot in the summer), however, there are ways to improve the situation if you have an existing conservatory and ways to avoid it almost altogether if you are considering building a new one. If you haven’t yet had your conservatory built, then the glazing options you choose can make a massive difference to the temperature inside the finished building. The usual way of things is that the more glass you have, then the more difficult it will be to keep any generated warmth inside. So, it goes without saying that you should choose the absolute best glazing options that your budget will allow – if you have enough for triple glazing, try and make this your goal. If you are working with an existing structure that is perhaps starting to show its age, replacing the windows, with a newer more up to date option – although costly will give you the best results. If the budget is much tighter, then there is an insulation film you can apply to the glass panels. The results won’t be as spectacular but it will certainly help a bit. 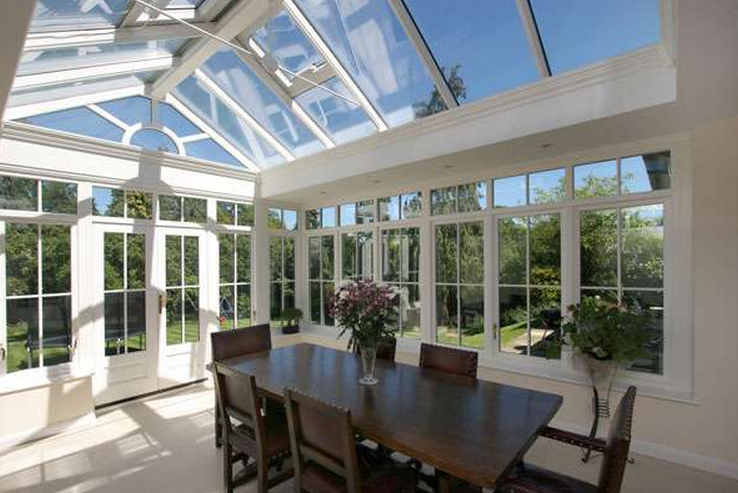 Many conservatories feature an all glass roof but it is possible to have a structure that has a tiled roof. The benefits here are obvious (you can insulate the roof area), as are the downsides (you won’t get as much light). However, if you are considering a new extension, then an insulated roof will surely be very tempting. If you are wondering what you can do with your glass panelled roof, then there are options here too. You can have specially insulated blinds fitted to the glass panels (this will be easier with certain designs). Perhaps a little on the expensive side, but they will certainly help with the heating in the winter and the overheating in the summer. When it comes to general heating and flooring, there are multiple options for a new build with perhaps underfloor heating being the most popular option. A good underfloor heating system with good, even floor coverage can be effective in any part of the house and it can work wonders for a well-designed conservatory too. There is a warning to heed here too, however, if the rest of your conservatory isn’t particularly well designed for heat retention, then underfloor heating (just as with any other conventional heating system) will prove expensive to run. If you are trying to warm up an existing conservatory or orangery, there are things you can try to combat the cold. If you are intending to put carpet down, then it might be worth looking into what sort of insulation will work best under your underlay. A wooden floor can, to some degree, work as an insulator, so this too might be an option. If none of these are possibilities, just try and put down as many thick, warm rugs as you can. Every little helps. It might also be worth looking at your central heating and working out whether it is possible/affordable to put an extra radiator in – this will certainly help to take some of the chill out of the air. If a mobile heater is your only option, mobile oil heaters or infra-red heaters are a couple of examples that you could investigate with your reputable conservatory designers and builders. We touched earlier on using blinds for the glass panels on the roof but you should also consider fitting the surrounding windows with high quality conservatory blinds too. These will prove effective and essential all year round. If you simply must have curtains, then try and select some that are insulated, these will at least go some way to providing a level of protection from extreme temperatures. Make sure to draw the curtains closed during cold winter evenings and any heat you have been able to generate will last that little bit longer. If possible, avoid putting larger furniture pieces against or too near the glass – this can cut off some of the light and prevent some of that lovely warm winter sunshine from flooding in. Just from an aesthetic point of view, try and choose furniture that “looks” warm. In the battle of mind over matter, this will at least make the conservatory look inviting. Dark browns – perhaps a set of rattan chairs with cream cushions and a dark brown coffee table or if you have a larger space, a walnut dining table with chairs. The textures themselves can help the room look warmer and more homely. These ideas, like the furnishings above are more about creating the illusion of warmth rather than actually generating heat in the conservatory. However, if you have made some of the improvements mentioned earlier, then these ideas can be the icing on the now much warmer cake! 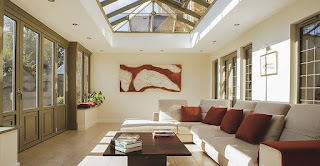 If you have any wall space in the conservatory (areas not covered in glass), you can paint them in warm colours – coppers, rusty reds and taupe. Taupe especially is popular for interior designers, as it not only helps create a feeling of warmth but is also elegant and will look classy if you intend to use your extension for entertaining. As we approach autumn 2015, there are numerous woodland themed accessories available that are autumnal in colour and design. Try checked throws, knitted cushions covers, cushions with pictures of foxes & deer etc. Sheepskin rugs, checked lampshades and wooden candle sticks will all contribute to a lovely and trendy interior design theme suitable for the seasons ahead. When designing and installing any structural element of your new or existing conservatory it is always advisable to seek out the advice of a reputable company before proceeding. You might be in the process of making final decisions regarding your new conservatory build and are just trying to decide on the details of the layout, the size, maybe even the overall function. There are plenty of home and lifestyle magazines dishing out ideas aplenty when it comes to what your finished extension can look like and there are probably a whole host of them you would like to squeeze into your final design. Well, thanks to the completely bespoke service offered by Foxfurd, you can put as much or as little into the ultimate design of your new luxury conservatory. 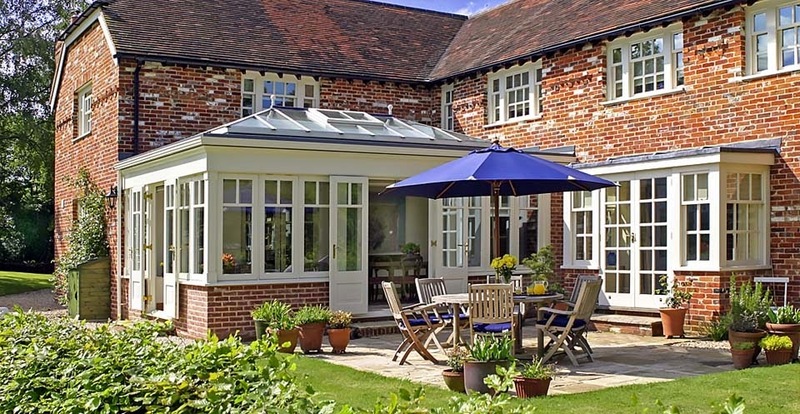 Although certain final specifications are very much dependent on your existing building or property, there are plenty of “off the shelf” conservatory designs available, but here at Foxfurd, we believe that most people would prefer to put their own individual stamp and flavour onto a building that they might end up spending many, many years, if not the rest of their lives living in. So, it’s important to get it right and although there are optimum times in the year (weather related) to build your conservatory, you won’t be rushed into making decisions – it’s entirely up to you. So, what do we mean by bespoke? We really mean that alongside our team of architects (who will give as much or as little input as you wish), you can actually design your own conservatory including size specifications, features and interior design. Of course, once we are aware of the specification of your existing building, we will be able to guide you and make you aware if certain things will work or not, but within that scope – you are free to make this new piece of extra living space completely your own. Once a design has been settled on, our professional team will then get to work making sure that craftsmanship will be of the highest quality and you can be assured that the finished building will not only look stunning but truly be a genuine extension to the available living space in your home. If you have been short of space in the home for a long time, it can be a very exciting prospect, knowing that soon you will have that much more room to manoeuvre and even though you may not be considering moving, a well-built conservatory will undoubtedly add value to your existing property. So, hesitate no longer – visit our main website and get in touch to begin the design process – it’s really that simple. Is it a greenhouse? Is it a conservatory? NO! It’s an orangery! But, what is an orangery? From our investigations above, we can see that at least from a historical point of view, that an orangery was a construction with specific purpose – it was used to grow orange trees (or trees and plants that produce other citrus fruits) especially in cooler climates or winter months. Our Wikipedia definition gives us more insight insomuch that these “orangeries” were likely a luxury and a fashion statement of the wealthy. We can also see from various definitions that the structure was often “special” and “large”. Unlike a conservatory which is usually an extension of the main property, an orangery, traditionally, could be a completely separate structure. If you have ever visited places like Newstead Abbey or Rufford Abbey in Nottinghamshire (there are many more examples around the country) you will have likely encountered structures referred to as orangeries. The one at Newstead Abbey now functions as a beautiful wedding venue. You can really get a sense of history and scale and the kind of property and people that might have had the means for an orangery. How nice it must have been to wander down to the conservatory on a bright winter afternoon and pick some fresh, juicy fruit! So, it’s certainly fair to say that in days gone by the orangery was a much grander affair than a conservatory or a greenhouse, but what about today? Much more closely related than they used to be, it’s perhaps a little more difficult to spot the difference between a modern orangery and conservatory, especially when companies like Foxfurd allow customers to pretty much design their own building extension – is it a conservatory, is it an orangery? Theoretically, you can call it what you like but there can still be some subtle differences. The roof of the construction can often give the game away and a conservatory will usually have far Foxfurd's bespoke designs – this is not always the case. Generally speaking an orangery will also be a larger construction, retaining some of its grandeur from yesteryear. However, the lines are certainly blurred and both modern orangeries and conservatories now exist to provide homeowners with comfortable, practical, extended living space. New kitchens, dining areas and living rooms are hugely popular reasons for having an extension built and in the hurly burly of contemporary living can prove to be a relaxing oasis. 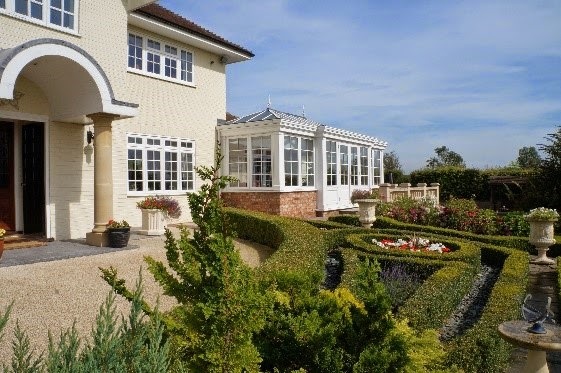 For more information about Foxfurd’s luxury orangery and conservatory design, please visit our main website. Why should you vote conservatory? solve problems such as where to send the kids to safely play when you have visitors and it’s raining outside, or where to set up an office if one of you has the opportunity or need to work from home. A conservatory can provide you with a place to relax in comfortable surroundings, whilst looking out onto the greenery of a beautiful garden. 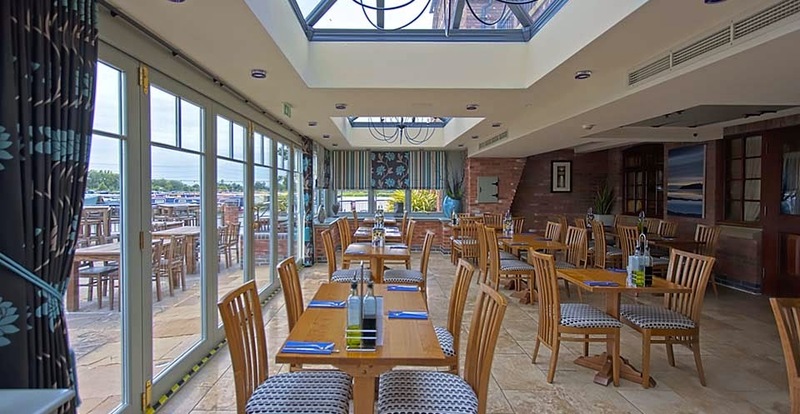 A modern conservatory can also be used as a super trendy kitchen/diner, allowing you to cook up your mouth watering masterpieces without missing out on any of the latest gossip from the party delegates (dinner guests) in the other room. The conservatories of yesteryear were a little stuck in the mud and old fashioned, delivering the same old message – “too cold in the winter and too hot in the summer”. 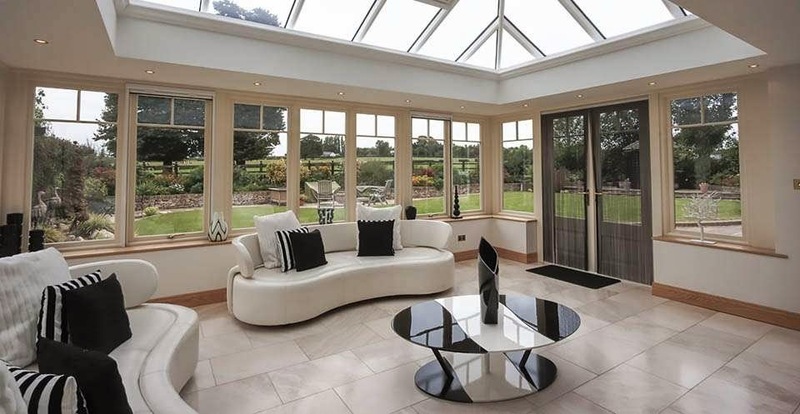 The modern conservatory has learned its lessons well (technology has improved things like underfloor heating and various kinds of glass which in turn has improved insulation) and now offers broad appeal - for properties of all shapes and sizes up and down the country. There has never been a better time to vote conservatory! 5. MORE space to cook – If you have always felt a little too cramped in your kitchen an extension can open this area up and you can even go for that modern kitchen diner you have always dreamed about. All political puns aside (it is election time after all), with spring well under way and summer just around the corner, it’s the perfect time to finally get your conservatory (or orangery) project underway. For inspiration, design ideas and price guides, visit the Foxfurd website now. products featuring various shades of green, from wallpaper, prints, paints and accessories. Of course, there is always something fresh, warm and spring-like about this colour and it can work beautifully if you are planning to inject a bit of life into a conservatory that is either long overdue an overhaul or has just been built and is awaiting its first dressing. Green is a versatile colour and can work well in combination with colours such as brown, grey, cream and white. If your conservatory is predominantly used as a dining room, then there are a few things you can try in order to make it feel fresh and stylish again and give it more than a hint of spring. You could consider laying carpet in your conservatory, this will certainly add warmth and give it a completely different tone, especially if it has always had a tiled or wooden floor (as many conservatories tend to). Unless you get the dressing just right, a wooden or tiled floor can often feel cold and lack that new spring warmth you are striving for. With doors out to the garden from this room, it’s probably best to avoid carpet colours that are too light – cream for example - as they can soon look grubby and worn. Perhaps you could try something like a charcoal grey, which is both really modern and avoids the pitfalls of those lighter colours. It also works beautifully with green! There are some very stylish wallpapers available in various shades of green and papering one feature wall could be the best way to implement the colour into your conservatory. Combine this with perhaps a sage green paint on the remaining walls and it will feel, fresh, modern and make it a room you want to spend more time in. White furniture can often deliver clean and modern lines and a white dining table (either new or revamped) can, in combination with the green walls, make for a striking centrepiece. You can further enhance this look with white shelving units, sideboards, coffee tables and even chairs. Blinds are obviously and fabulously practical for conservatory windows and allow you to get as much light as possible, especially during those spring and summer months. Some people might prefer fully fitted curtains so if you do prefer this but are desperate for something “lighter”, you could opt for some voiles of your choice – they don’t even need to cover the full expanse of the window, they can work simply and effectively as a dressing. Chandeliers and lamp bases made of glass can often look beautiful and give an elegant feel to the room but for this particular theme, fabric lampshades might be a better option and can provide a soft and furnished look. You could even introduce a botanical theme – there are plenty of these currently on the market – to enhance your theme of spring. You can have fun here and continue your botanical theme if you wish, with things like pictures, cushions, vases, throws and even plates hung on the walls. Finish it all off with a suitable centrepiece for the dining table and your spring conservatory makeover is complete. You can find out much more about different conservatory styles on our main website, where we even tell you what the difference is between a conservatory and an orangery. What’s the difference between Victorian and Georgian Extensions? ‘Victorian’ and ‘Georgian’ refer to different historical periods in the United Kingdom. Each period is renowned for its different architecture. The Georgian era spanned almost a hundred years, starting in 1714 and ending in 1837. Interior design from this period is focused on neutral colour schemes, with the exterior design consisting of smooth, curved symmetrical buildings. 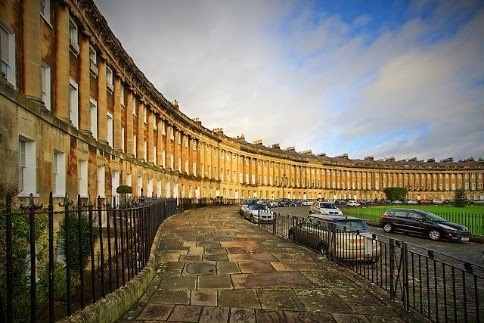 (Great examples of this are found in and around London, The Royal Crescent and The Circus in Bath, and St Leonard’s place in York). 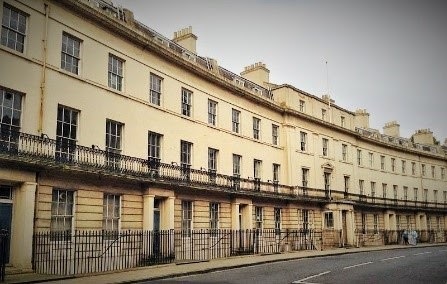 symmetry of the buildings in general), are the sash windows which are tall, neat, concise, and usually with white panelling, featuring small square windowpanes; again focusing on symmetry. During the mid-18th century until the end of the Hanoverian reign, neoclassicism became increasingly popular and this is evident in buildings such as Woburn Abbey, Senate House and chiefly, Somerset House. Georgian houses usually have low ceilings but the lightness of the room’s décor and the multitude of windows bringing in natural light, prevent the feeling of claustrophobia. The Victorian era (1837-1901) saw the developing interest in the Gothic. A Gothic revival had started during the Prince Regent’s reign, becoming apparent not just in architecture but in popular culture, with the literary works of the Romantic poets and Jane Austen’s Northanger Abbey. The Victorian era did away with the Georgian style, opting to build red brick, storey, terrace houses with high ceilings and bay windows; the high Victorian ceilings were almost a direct rebellion against the typically low ceilings found in Georgian buildings. The Edwardian era that followed (1901-1910) was architecturally in keeping with the Victorian era and so it can often be hard to distinguish a Victorian property from an Edwardian one; this means that a Victorian conservatory or a Victorian orangery would be perfectly suitable for an Edwardian styled property. 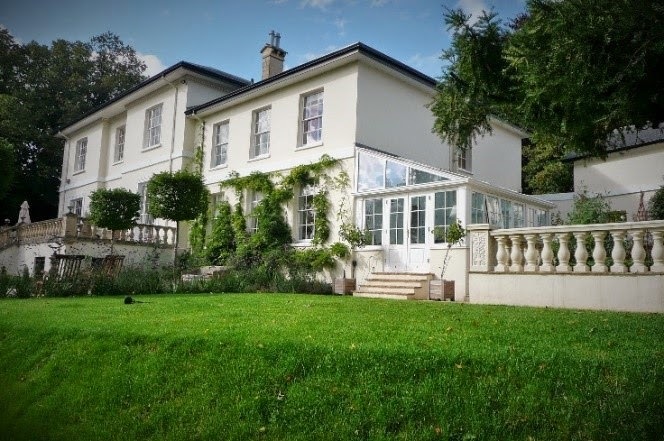 People often assume that if they’re living in a period property, they cannot have an extension, or that a new build extension would look odd attached to a period property. Here at Foxfurd we take the property period into account when designing an extension. We are extremely sensitive to the architectural merits of the buildings we work with and ensure that our extensions are in keeping with the property. We also carry out extensions for listed buildings. 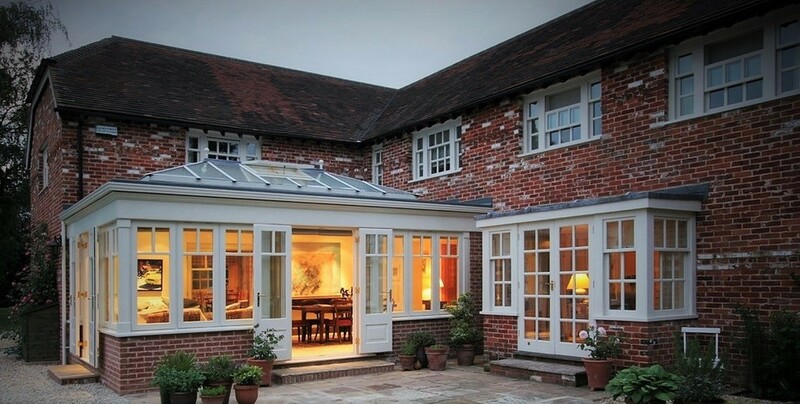 Here is an example of an orangery extension we created for a late Georgian property. We have used the typically Georgian six over six sash windows for the extension, in keeping with the building itself. The neat, rectangular shape of the extension is a nod towards the Georgian obsession with symmetry and the strict rules on size and shape. 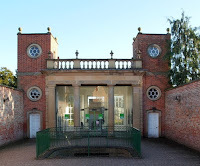 The Georgian orangery itself is made from timber with a white finish. For this large Georgian extension, the same building materials and windows are used to blend seamlessly with the house itself. Both house and extension have a light, neutrally coloured finish. We specialise in designing and building extensions for listed buildings, we know how to deliver exactly what the customer wants Victorian conservatory that was designed for the listed building was a largely traditional conservatory design, with a slanted glass roof and large windows for optimum light. seamlessly with the house itself. Both house and extension have a light, neutrally coloured finish. 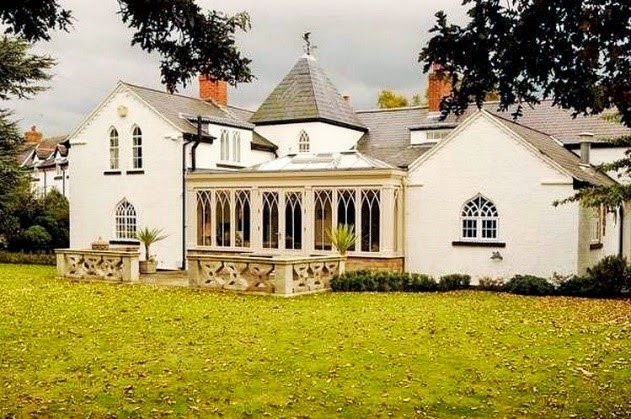 This Gothic property featuring our orangery extension is quite spectacular. 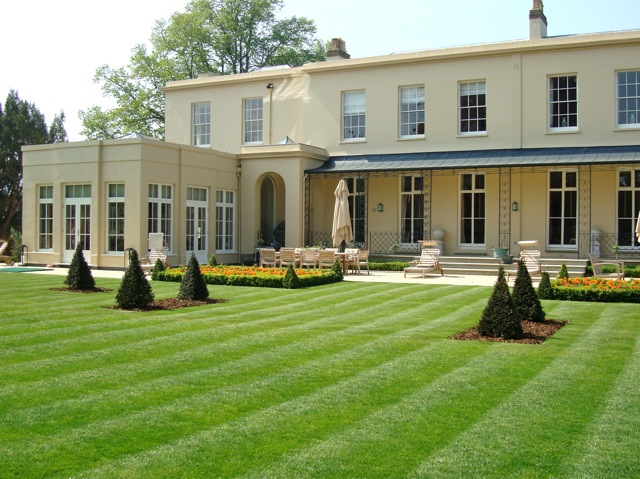 The ‘flamboyant arched’ windows of the property are matched well with the simplistic, ribbed orangery windows. 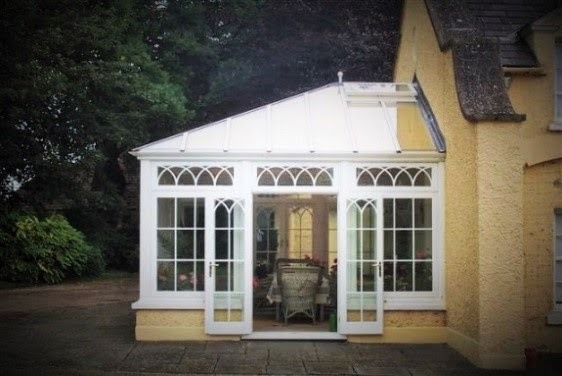 This period orangery serves to join the property together, yet it doesn't spoil the style, by remaining low level in order to showcase the Gothic spire on the property’s roof. Your property doesn't have to be large to warrant an extension, the point of an extension is to gain extra living space! No property is too small, provided that the land is big enough. This small Gothic conservatory extension with arched windows, fits perfectly size and style wise for this property. The customer chose to have this small conservatory extension situated on the side of the property, to create a comfortable dining space. 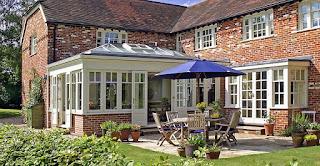 We are happy to create exactly what you want in terms of design, all of our orangeries and conservatories are bespoke. Visit Foxfurd's profile on Pinterest. Foxfurd Ltd is a business with a nationwide reputation for reliability and quality. As a company we endeavour to relate to and understand our customers’ directions and requirements and believe that their freedom to choose the direction of any given project is paramount. We maintain high professional standards throughout the business. This includes all staff members and suppliers too with the goal always being to supply our customers with the best in bespoke conservatories and orangeries.